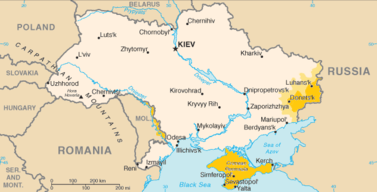 Following the collapse of the Soviet Union, Ukraine has been in the process of international political and economic integration. The swift privatisation and economic liberalisation that has occurred within Ukraine has created stark income inequalities, and women have been particularly impoverished and politically excluded; a contrast to the policies that were implemented by the Soviet Union. Because of rising inequalities, and anger with a seemingly corrupt political system, two coloured revolutions have recently erupted in Ukraine. A drawn out war in the East of the country, the Donbass conflict, has been the result of these, as separatist’s battle government forces. The further decimation of social services due to austerity measures, and the increased militarisation of society, has further entrenched women’s economic and political exclusion.